You have never seen a list of the best real estate investing books like this before. I can guarantee you that. Most people want to jump right into the nuts and bolts of investing. But without the right mindset, you are going to be following get-rich tactics and have no vision for your future. This list of books will fix that. Also, there are 0 affiliates links in this post. I bet this a first for a list style blog post that talks about Amazon books. Marco Santarelli said something on his podcast recently that I found illuminating. Marco and I both agree that the answer is “expensive“. Lucky for you, reading real estate books is a great way to lower your ignorance and increase your knowledge. Knowledge in real estate investing means you can avoid mistakes which cost you thousands of dollars and puts more money back in your pocket. But this list isn’t what you think. The beautiful thing about real estate investing is that you will always be learning. For some young investors (myself included) we read more than we should before we purchase our first investment property. But before we jump into the world of real estate investing let’s investigate some of the best books ever written on the topic of real estate investing. This is by far one of the most popular books when it comes to real estate investing. 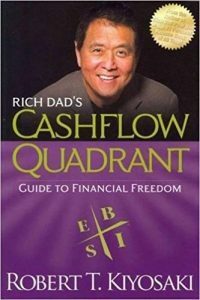 Robert Kiyosaki has made a fortune educating millions of people about how real estate can work as an investment product. The biggest concept in this book is a quadrant. This concept was incredibly eye-opening for me because it put words to feelings I knew I had but always struggled to express. Essentially, the quadrant shows 4 different mindsets someone will have at different phases of life. 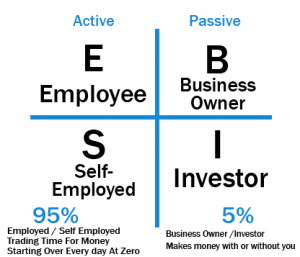 The cashflow quadrant describes the 4 types of people and their mindset in each phase. Employee – with this mindset you are trying to save part of your paycheck and invest it somewhere safe so you can be comfortable in retirement. It will always feel like a struggle because you are trading time for money. Self-employed – this mindset is very similar to an employee mindset. You are trading time for money. You must show up to work to make money and see cash flow coming from your business. The only difference here is you have started something on your own and are on the path to becoming an investor mindset. Business – this mindset means you belong to a large business (500+ employees). You have put systems and processes in place and the business can make money while you are not there. You are somewhat passive in how you make your money but you still need to show up to see continued financial growth. Investor – with this mindset you are completely passive in how you generate income. You put money into an investment product (stocks, bonds, real estate, etc.) and the money comes back to you whether you are sleeping, traveling, or working. Fun Fact: Babylon is present-day Iraq. The ancient Babylonians were some of the wealthiest people of their time. There are stories in the Bible about the riches that were in Babylon. 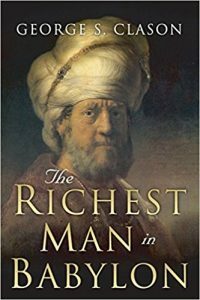 In this book, “The Richest Man in Babylon,” George S. Clason shares their secrets for creating, growing, and keeping wealth. He shares stories about merchants, tradesmen, and herdsman who were able to unlock the secrets to keep more of what you earn, get out of debt, put your money to work, and attract more opportunities to you. The reason I think all real estate investors should read this book is that it gives 10 simple to follow rules that if applied correctly should guard your investments against loss, grow your portfolio, and make you a better investor. Give this book a read and see if you can adopt a few of the laws outlined in this book. I printed these off and put them on my wall when I first read this book. 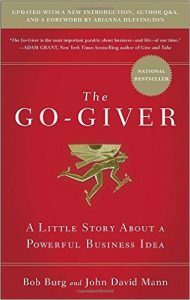 Everyone, not just real estate investors should read “The Go-Giver”. It is a great reminder of how to be a good human. The basic premise of the book is to give value and be ready to receive gifts and that will set you on the path to success. This book is written in a very unique way. You are introduced to a character who must complete a task and the book is a story of him going through the 5 laws of stratospheric success to get there. I will share the 5 laws with you below but I hope you don’t think that by reading these you will have all the knowledge this book can give you. It is still incredibly valuable and worth a read. Often time investors forget that the product (house) they are buying and renting or selling is going to help someone and their family. Investors can get wrapped up in COC, ROI, and Cap Rate, but you are giving someone shelter at the end of the day. Think about these 5 laws the next time you start analyzing a deal. For most real estate investors, Warren Buffet is the epitome of investing success. He will go down in history as one of the wealthiest people to ever walk this planet and part of that reason is he follows a series of rules he has created for himself and his team. We would be ignorant if we did not at least TRY and learn from Warren. This particular book was written by his daughter. I recommend this book to new investors (not just real estate investors) because the book is short and to the point. Each page has a law about what it means to be a good investor. 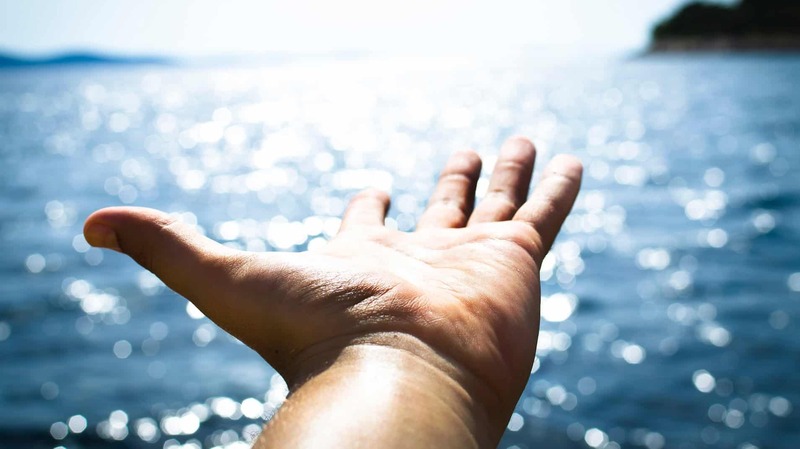 It covers everything from not losing your money, to finding deals, to trusting your gut, and a whole lot of other important aspects of deploying capital for returns. This is a book you can read in one sitting. I pulled 5-10 items from this book and put them on my wall for a couple months to remind myself of what I was trying to achieve with real estate investing. Check this book out and let me know what you think. 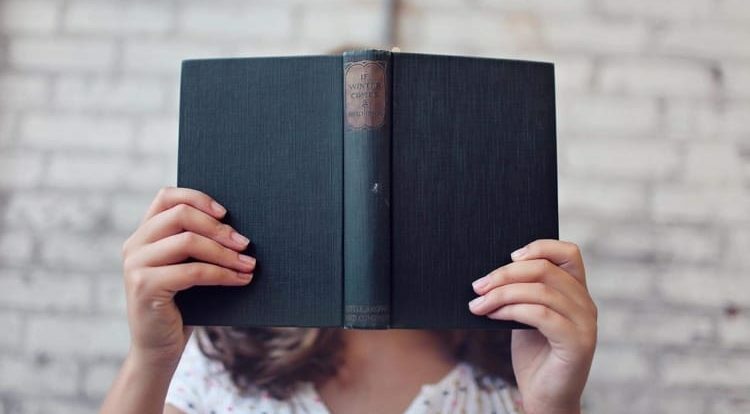 So far this list of books every real estate investor should read hasn’t included many of the traditional books on real estate investing. Here is another book that doesn’t mention anything about real estate investing but has a wealth of knowledge in it that can make you a successful investor. 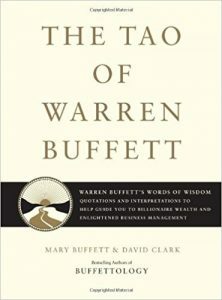 I first found this book when listening to a podcast about psychology and closing more deals. Your ears might have perked up when I said: “close more deals” because as a real estate investor 70% of your job is getting the deal done. You will run into issues with closing on a property, getting the seller to agree to the price and terms, negotiating with your bank to lend you the money and more. 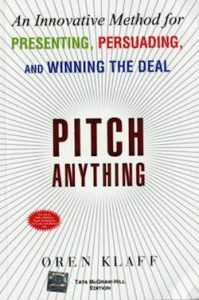 It’s important to understand that you can pitch any deal following Oren Klaff’s framework. This is easily one of the best books I have ever read about human pyschology and some useful tricks and strategies for getting the other person to yes. It’s a quick read and will equip you with a toolset that will make it easier to close your next real estate deal. Gary Keller is the founder of Keller Williams, one of the biggest real estate brokerages in the US. I would recommend all real estate investors read this book to hone their investing strategy and investment criteria. 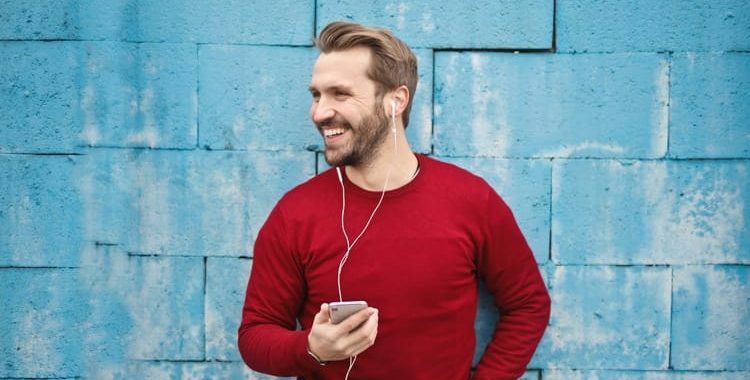 It’s really easy to want to tackle wholesaling, Airbnb Subject To, Seller Finance, and all the other interesting and creative ways to transact real estate. 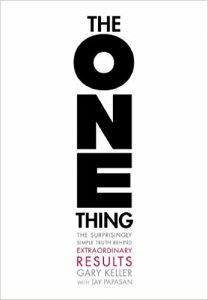 But this book will help you focus on the one thing you can and should be doing to close deals. I enjoyed this book because the chapters were short, concise and easy to digest. The end of each chapter has the key takeaways which is a nice recap. Thanks for making it this far down the list. It is finally time to recommend some books that get into the nuts and bolts of real estate investing. If you are just starting your real estate education you might be chomping at the bit to learn how it all works. 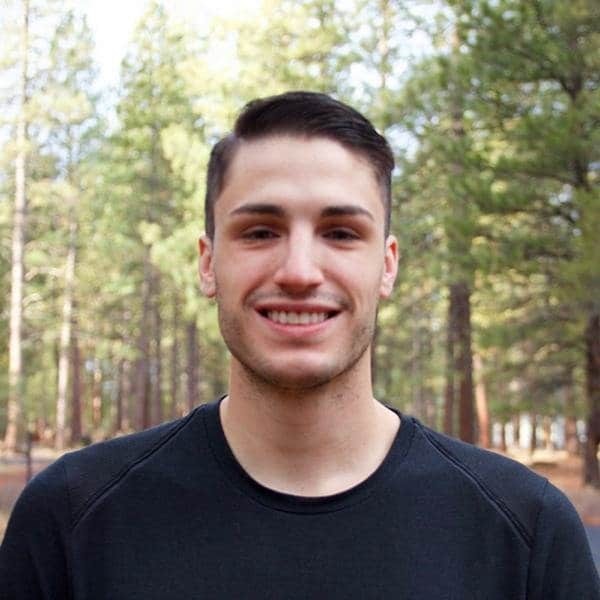 How can you buy a rental property with little to no money, how do you find deals, how many properties can you put in an LLC, and all the other questions that come with REI. But slow down and have a clear plan of the business you want to start. 100% passive income doesn’t exist you are going to have to work. 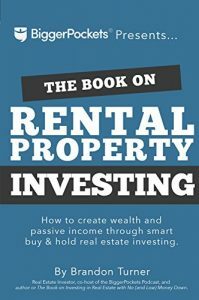 “The book on rental property investing” is an amazing work of art (see what I did there) by Brandon Turner of BiggerPockets.com. Brandon does a great job in this book of walking through all the steps a real estate investor will take to find a property, find the funding, close on it, and then how to get it rented out so it can start making positive cash flow. Nearly half of the country lives on the West & East coast. This means that you are in real estate markets that generally have more competition and higher priced properties. When you read deals that most real estate investors are closing in the Midwest you will be left scratching your head about how they can buy homes for $100k. You might get the idea that investing in these markets would be a good use of your capital and you would be right. But investing out of town seems scary and like a lot of things will go wrong. The funny thing is, with the advances in technology it is pretty much the same as investing in your backyard. It all comes down to the team you build and the processes you run your business/investments off of. 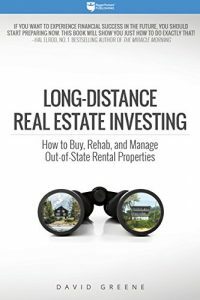 In this book by David Greene, an expert in long-distance real estate investing, you will learn the strategies he uses to buy, rehab, and manage tenants in different states. If you live in the Midwest this book may not be for you. But if you are an Engineer in Seattle and want to build a portfolio of single-family homes in the Midwest, I strongly recommend this book. I haven’t found one that goes in depth on systems and strategies like this book. Not every real estate investor is looking to buy and hold properties. The idea of having tenants might seem like an undesirable job for some. That is where fix and flips come in. You have probably seen one of the dozens of shows on HGTV where the couple buys a really ugly beat up house and turns it into an amazing home that appraises for WAY more than they bought it for. That is fixing and flipping. When it comes to fixer-uppers it comes down to knowing your numbers, putting in the work (either hired or by the swing of your own hammer), and knowing how to force appreciation into a home. 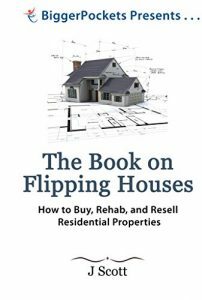 “The Book On Flipping Houses” by J.Scott is just as much a how-to manual as it is a book. If you have no idea what to look for on a roof repair, how much to estimate flooring costs at, or how to find a reputable contractor, then pick up this book and give it a read. I love the way it’s laid out because you can be in the middle of a rehab and flip to a section on tile and read what you need. It’s a book to have handy whenever you think about buying a fixer-upper. I am a huge history fan. I love to study those who have come before us and accomplished great feats. But what I love more is learning who they had in their corner that made them successful. Often history writes about the person in the limelight and completely neglects the people behind the scenes making the difference. I bring this up because Robert Kiyosaki gets a ton of credit for being a real estate genius but it’s only because he has guys like Ken McElroy in his camp. 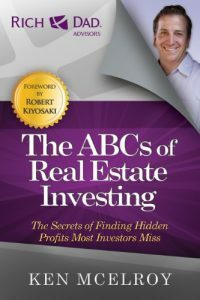 Ken is the author of the “ABC’s of Real Estate Investing” and a Rich Dad Poor Dad advisor. He knows a ton about real estate laws, funding, tax implications, and much more. This is an excellent book to add to your toolset so you can see inside the mind of one of the best real estate advisors. I would recommend this book to anyone who has read the books above because it can overwhelm a newer investor who is still trying to understand the basic concepts of investing. Let me know what you thought about my list of real estate investing books. I could have easily recommended a bunch of books that talk about investing strategies, where to source deals and all sorts of other in the weeds information. In order to gain some of this knowledge they have all read books from this list (if not all of them). So the next time you think about picking up a book teaching you how to wholesale real estate, you should consider the pyschology that goes into the deal (Pitch Anything) or how you can provide value to the client (The Go Giver). Then ask yourself if wholesaling fits your focusing question (The One Thing). After you answer all that.